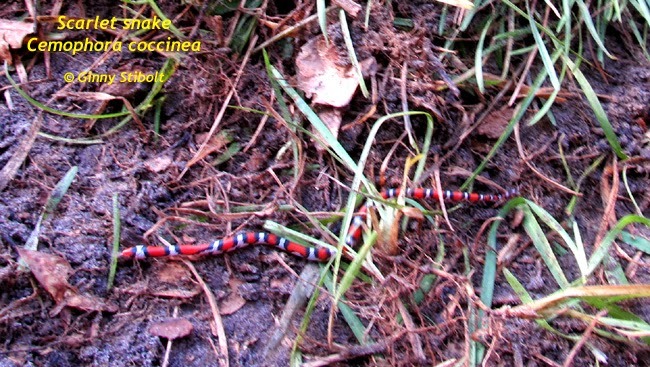 A quick young scarlet snake slithered out of the grass where I was removing it and quickly slid back in. You can tell that this is a scarlet snake because of red on black "a friend of Jack." The poisonous coral snake is red next to yellow "can kill a fellow." 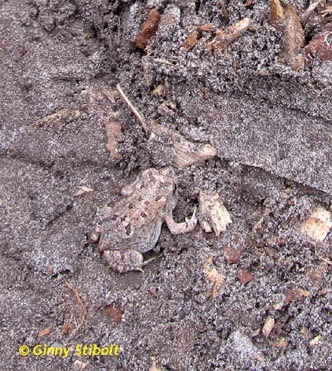 This shy snake is quite common in this area, but is rarely seen because it burrows in the ground looking for reptile eggs to eat. A true snake in the grass! 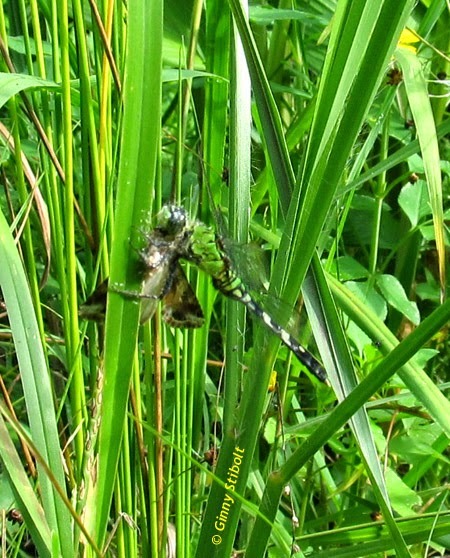 A green darner dragonfly with a large meal--a moth eaten. 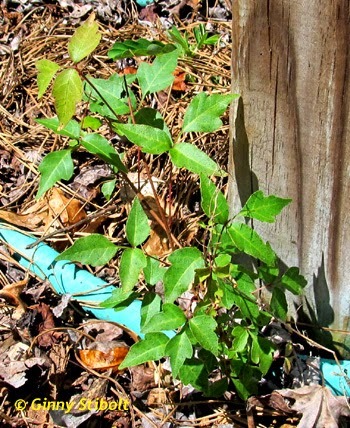 Poison ivy next to the rain barrel platform. It was probably deposited by a bird sitting on the platform with a nice dollop of fertilizer. You can't see me... ...not me either. 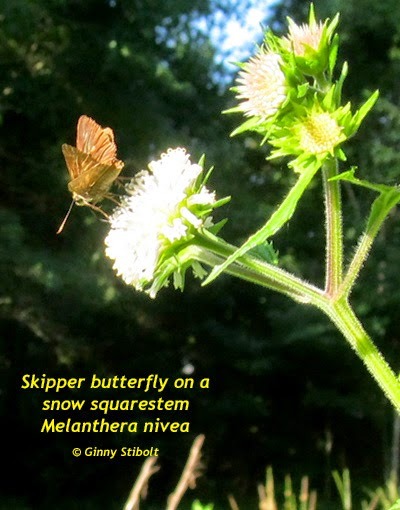 Ooh look, a skipper butterfly... I think I'll walk down to the lake. I wrote about our slump area repair and I thought I had cleaned out the invasive wild taro, but no... Another item on my ever expanding to-do list. :-) Maybe I'll see something interesting down by the lake when I tackle it. Planting the walking onion scapes. Last year, my walking onions were dying out after 5 or 6 years in one location, so I moved what was left of them to my herb garden. I rinsed the bulbs totally clean before planting them and I have not harvested any of their leaves. 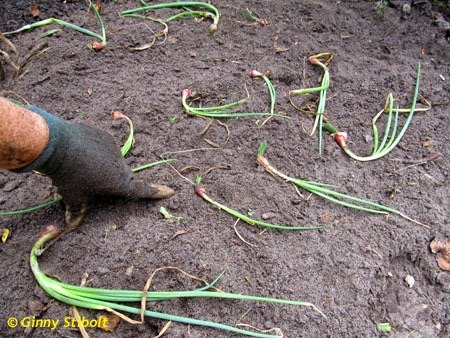 This spring they produced some scapes with groups of new bulbs. I divided them so I could plant the single bublets. This fall, I'll divide the adult plants to further expand the crop. Then I'll start cutting the leaves again. 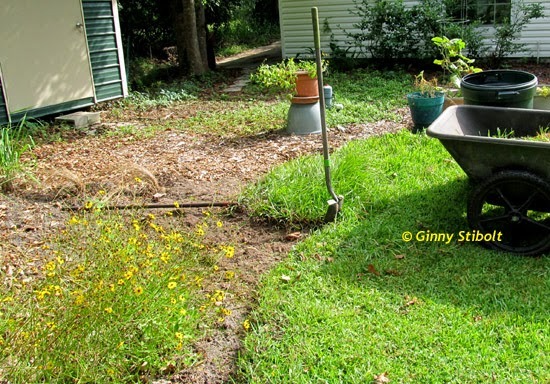 I will mulch the area with pine needles this week before the weeds come. 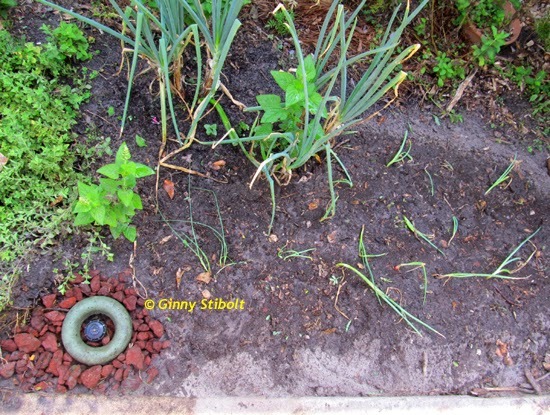 I moved the walking onions to herb garden last year--that's our back sidewalk at the bottom of the photo along with a sprinkler head. At the left you can see the Greek oregano, some scarlet sage seedlings that I left, and to the right, and not seen here is a large rosemary bush. 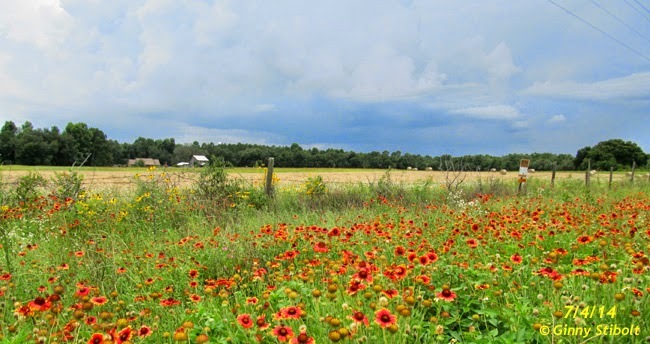 In May this scene was yellow with tickseed, now it's mostly red with blanket flowers. The farmer's flowers have been made into hay. On May Day, I stopped by this roadside meadow that was totally yellow with tickseed coreopsis. 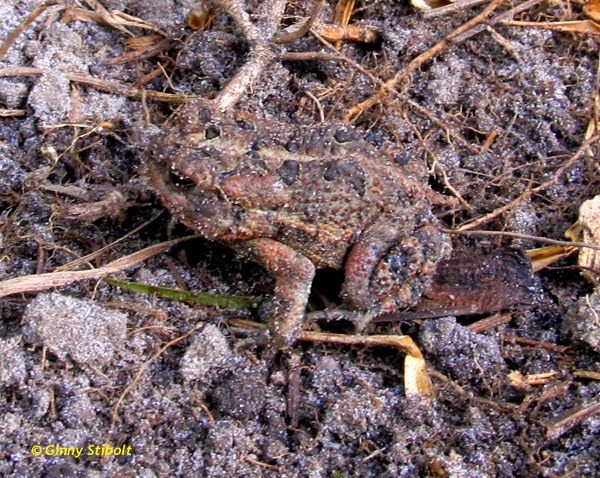 See my field trip post for photos of what it looked like two months ago. On July 4th, this meadow was still beautiful, but different. 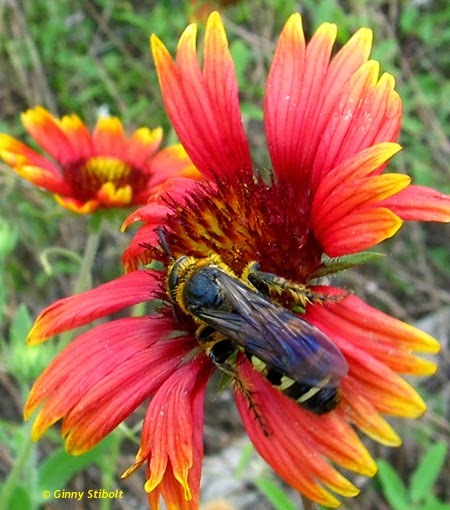 A blanket flower (Gaillardia pulchella) hosts a wasp killer. 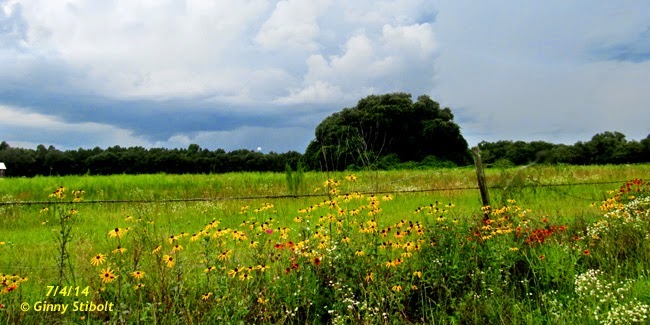 Storm's a-comin' at a roadside meadow in Putnam county. A painted lady butterfly visits the black-eyed Susans (Rudbeckia mollis) in that same roadside meadow. 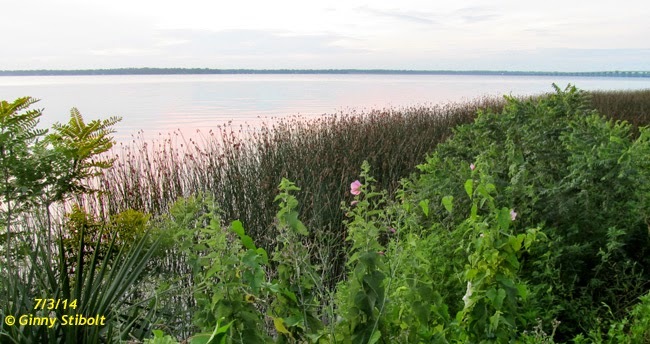 A subtle sunrise over the St Johns River with a pink seashore mallow coordinating with the show. 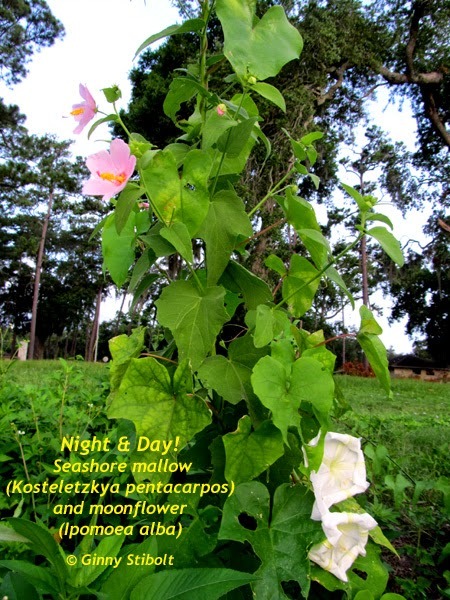 The moonflowers fade at sunrise, while the mallows are ready to welcome its daytime pollinators. The summer sky is fantastic this year. 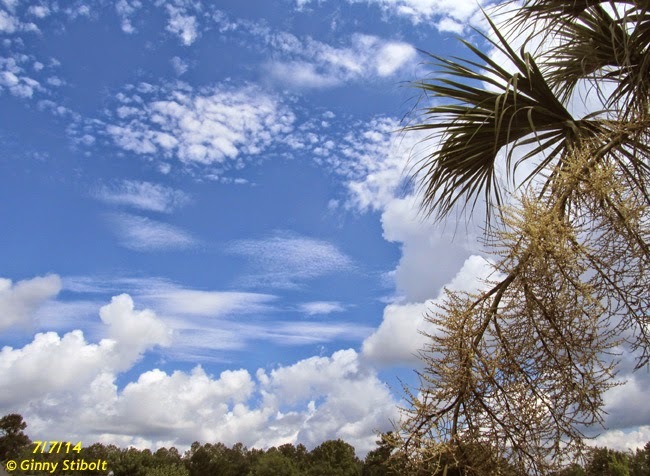 What you can't see in this photo are all the bees and wasps working the cabbage palm flowers. There must have been a hundred or more. This is across the street and a good place to take sky photos without wires. Our front pond a few years ago. Looking from our end of the pond toward the neighbor's end. I have replaced the turfgrass that grew right down to the edge of the pond with a buffer zone of mostly native plants. 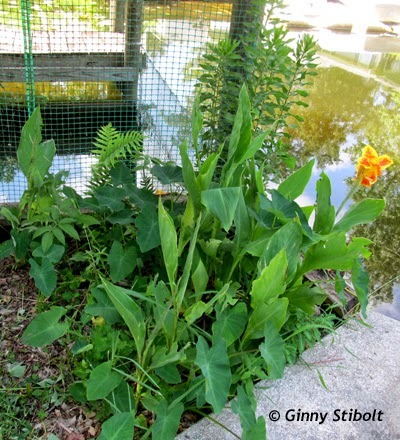 See my post over on Beautiful Native Plants blog The joys of a Florida Pond for more photos of the pond and its visitors over the years. Next month I'll continue the pond adventures with the actions we had to take to save our pond. I hope you are enjoying the summer as much as I am.